Our flat sheet product collection encompasses a range of stainless steel sheet and plate materials, in Grades 304/L, 316/L and 430. 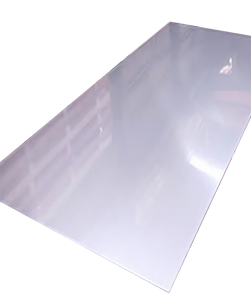 To ensure our customers receive high quality stainless steel, a range of our flat sheet products are manufactured to ASTM A240/A480 standards and are available in various grades, finishes and dimensions in both hot and cold rolled conditions. Grades: 304/L (1.4301/1.4306-7), 316/L (1.4401/1.4404) and 430 (1.4016). Our decorative stainless steel sheet products come in a range of patterns and colours. All available in satin or mirror polish finish. ColoursBlue, Black, Bronze, Champagne, Gold, Green, Red, Charcoal – additional colours are available. We offer rectangular or square blocks cut from large diameter round bar up to 13” cubed as a substitute for expensive plate from the continent. In the past, they have been used for manifold blocks in the oil and gas industry and have been praised for providing a more internally structurally sound product.